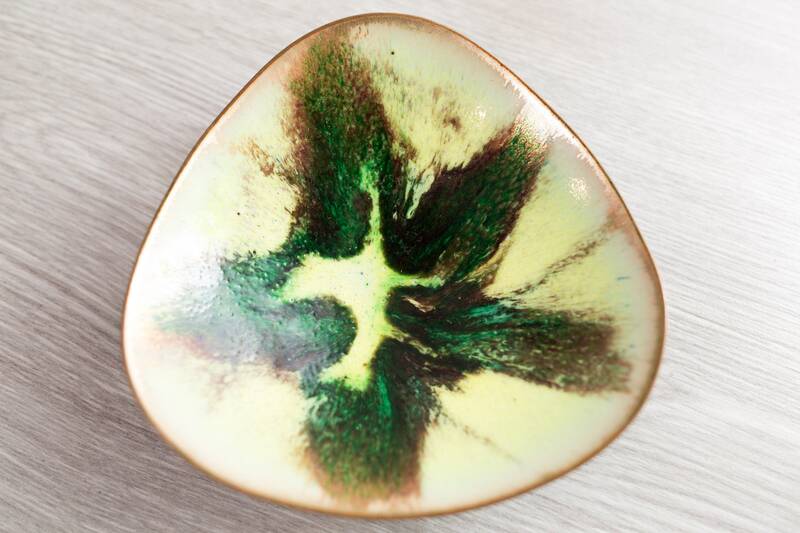 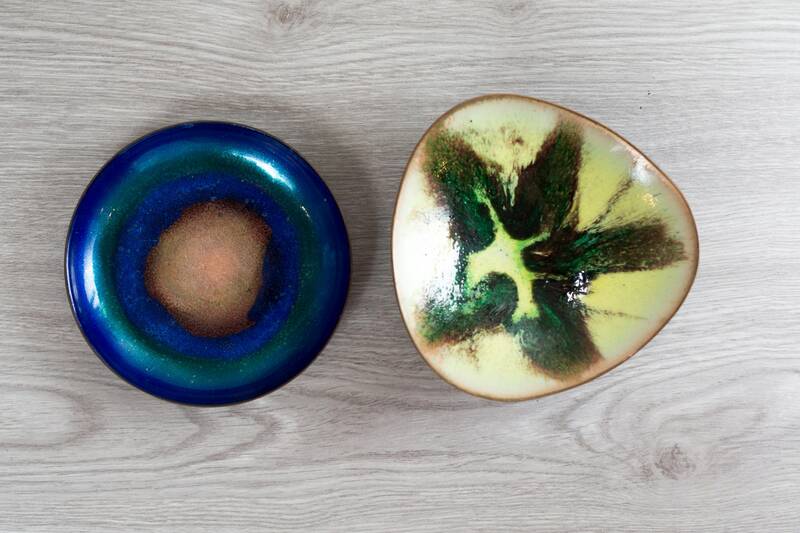 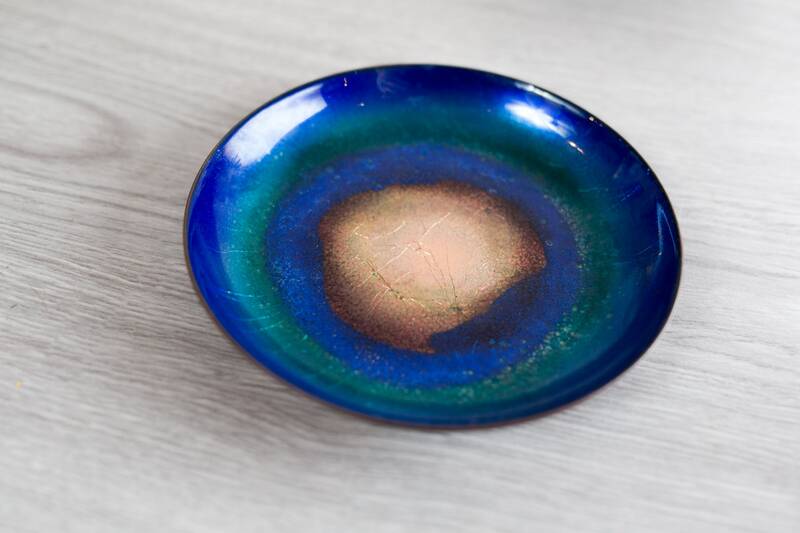 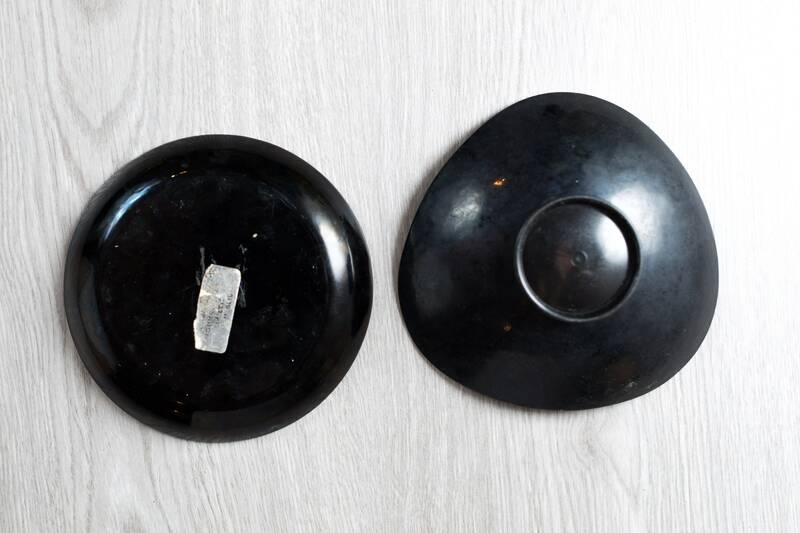 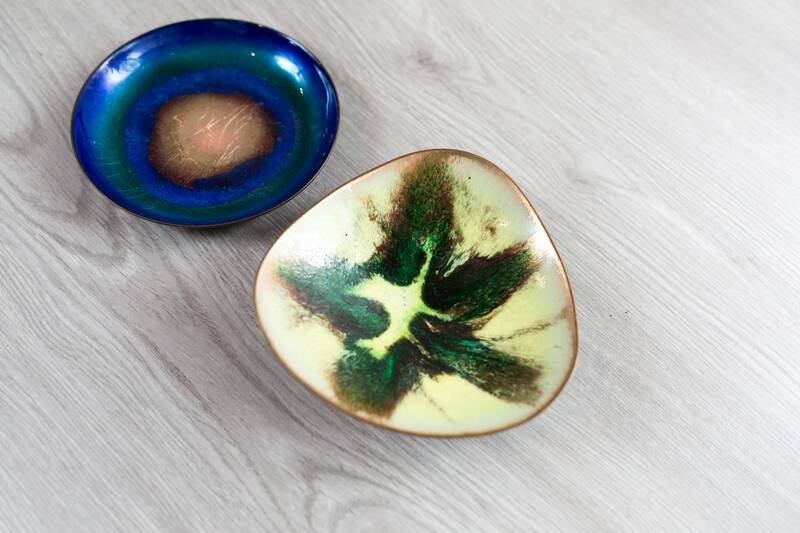 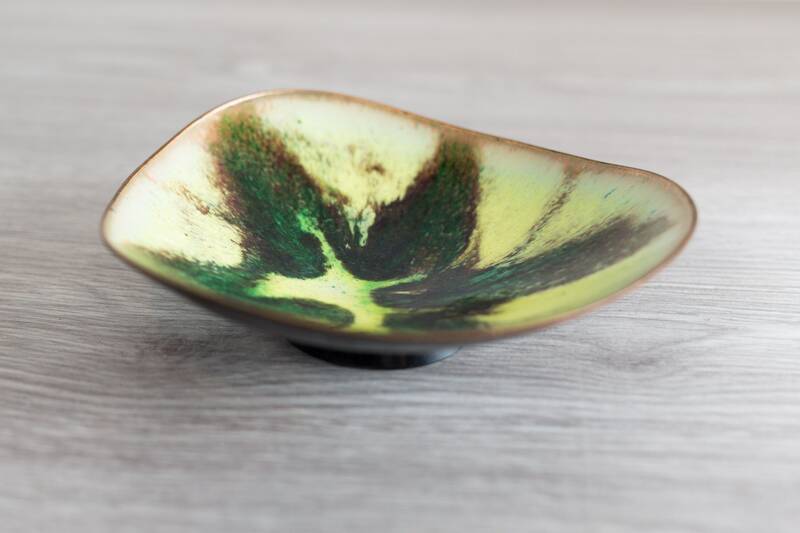 Up for grabs are these stunning handmade enamel plates, possibly by Esmaltes J. Amoros. 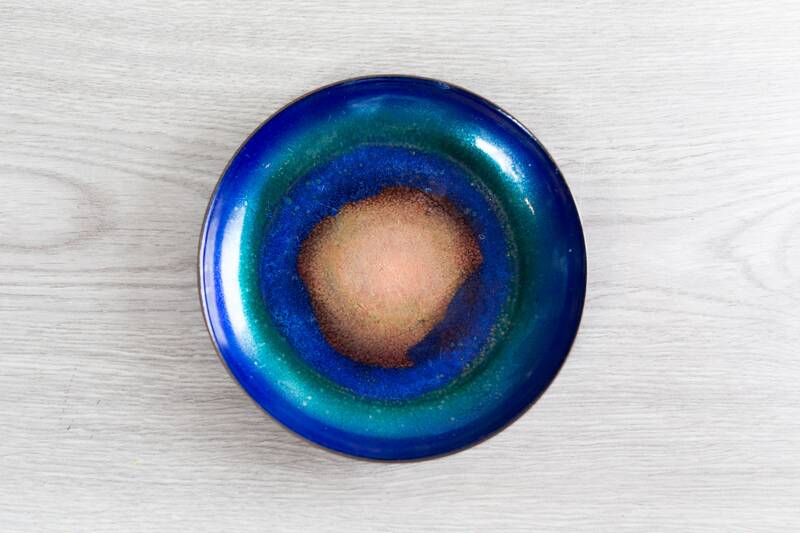 Spanish in influence, they feature beautiful, bold and bright colors. 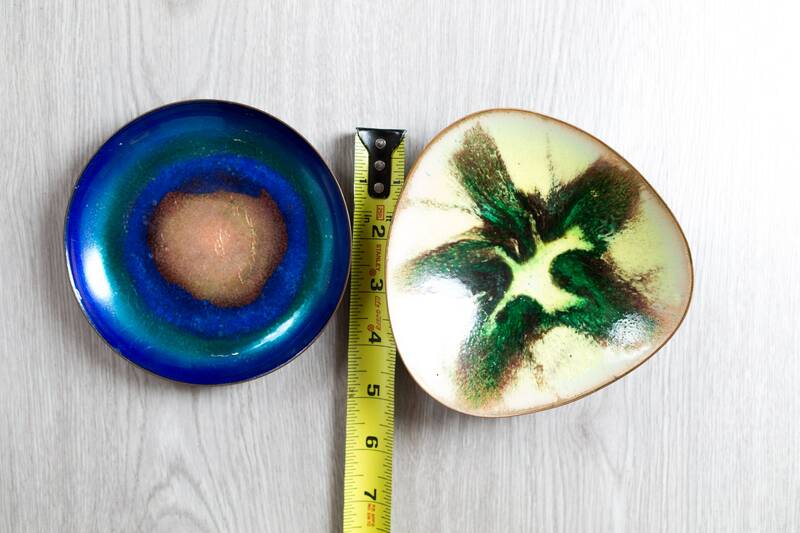 5 inches and 5.5 inches.